Whether you’ve already been accepted onto the Merch By Amazon programme or if you’re still waiting (hopefully not long now!) 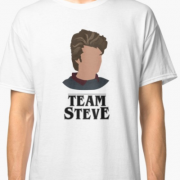 then you can start using the Merch By Amazon template to get your t-shirt designs ready for sale. In terms of which image editing program to choose, we suggest Adobe Photoshop CC as it is the industry standard, fully featured, very easy to use and is only $9.99/£9.99 a month as part of their photography package. Some people may be reluctant to pay the monthly subscription (I know I was when first starting out) but think about it this way, you only need to sell 2 t-shirts in a month and that’s the package paid for. Our second suggestion would be Adobe Illustrator CC which is great if you’re going to look into creating vector based designs. It’s slightly more pricey than Photoshop at $19.99/£19.99 a month. Our third suggestion is GIMP, which is a good image manipulation application but can be get a bit complicated for beginners. It is free however so your budget may determine whether this is your choice or not. 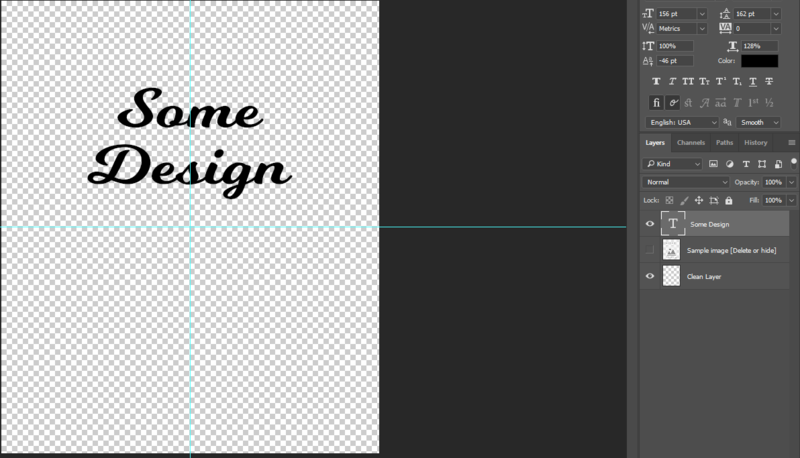 Finally, you can always create your own template as per the Amazon recommended specs of 15″W x 18″H @ 300ppi (i.e. 4500 x 5400 pixels), sRGB, less than 25MB. This isn’t something we’d recommend unless you are proficient with image editing programs. This is not something we will be discussing in this guide. 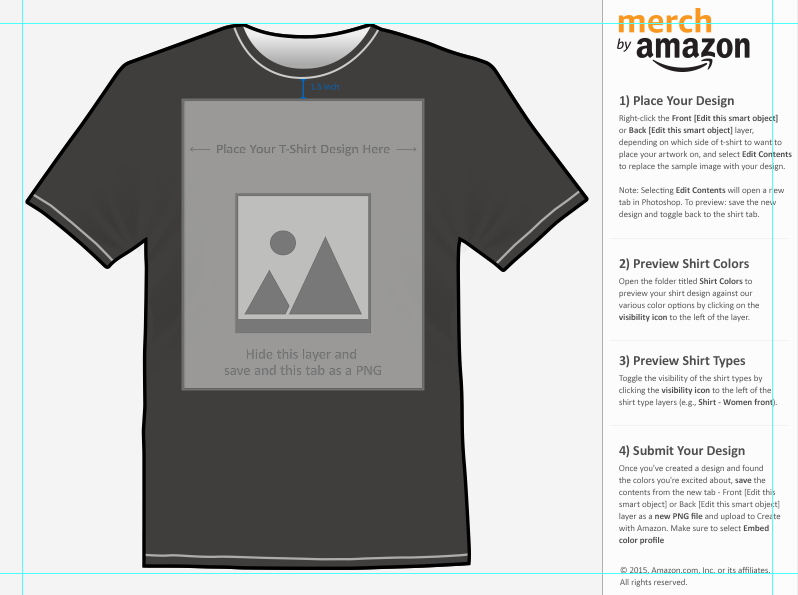 Regardless of which template you choose out of the three offered by Merch by Amazon, the process is largely the same. 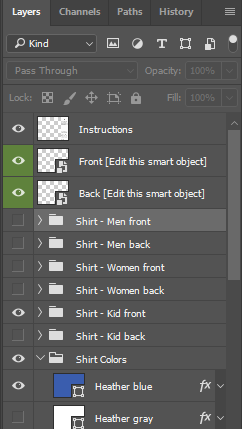 Because Photoshop is the most straight forward, we’ve decided to run through the tutorial with Photoshop. Using the links above grab your image editing program of choice and the corresponding template from MBA. You’ll see something like the image below. 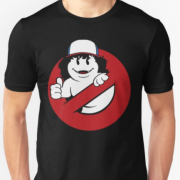 A mock-up of a t-shirt with a stand in image on the front. Some instructions are also shown down the side but we’ll dig into this more deeply and show you how it works visually. 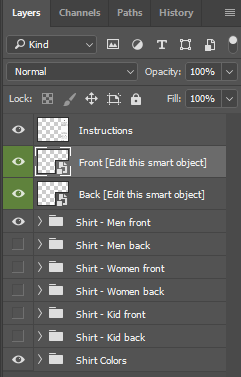 In the layers panel highlight the “Front” layer, right click on it and click “Edit Contents”. This will bring up the workspace where you will actually create your design. So your design workspace should have opened up. First things first, hide or delete the sample image layer. Now get to work and add a new layer and get designing! Below you can see my groundbreaking design!! 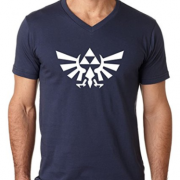 Obviously this is the point at which you spend the time pulling together a fantastic design for your tee. Once you’re happy with it hit ctrl + s or go to file -> save. The purpose of this step is it will update the mock up we saw when we first opened up the template. 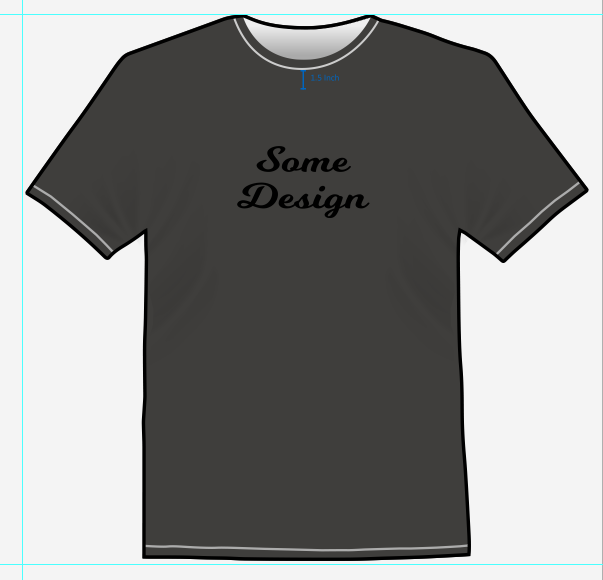 Switch back to the original mock-up and make sure the design is aligned and looks OK. Hmm that’s all well and good but how will the design look on different colors or different t-shirt shapes (men’s shirts, women’s shirts, children’s shirts)? Let’s find out in step 6! Still on your mock-up, take a look at the layers panel again. You’ll notice there are various folders. Try clicking in the empty box next to them and ta-da! The mock-up updates to reflect your selections. 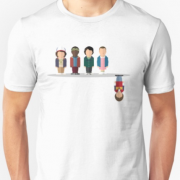 So you can see all color and size combinations before you even upload your design to Merch by Amazon. Step 7: Save The Finished Product! We now need to jump back into the “Front Layer”. It should already be open in a tab, but if not, just right click on “Front” again and click “Edit Content”. From here, we need to do a file->save as. Note file->save will not work for this. The save dialog will pop up, select png as the type (this will retain the transparency needed for the t-shirt design), choose your location and click save. 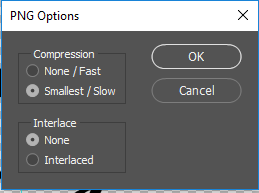 You will then be presented with the following pop-up – select smallest/slow for compression and none for interlace. 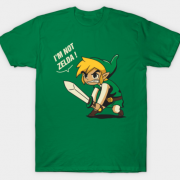 Make sure to read through our article on crafting the perfect t-shirt title, description, bullet points and brand name to hugely improve your t-shirt’s sales and profit on Merch by Amazon and bump up your page rank on Amazon itself. 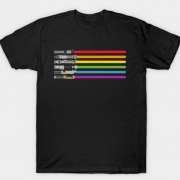 This entry was posted in Design Resources & Tools, Merch by Amazon Series, T-Shirt Design Articles and tagged Amazon Merch, Design Tips, T-Shirt Design.